Dental Braces :Get Confident Smile forever. Dental braces or braces are devices used to align straighten and correct the position of the teeth, It also works to improve dental health. Braces have been around for a very long time. In earlier times only a simple form of orthodontic appliances has been documented, but now the design and components have changed and been improved, but the basic idea has remained the same. The basic idea is to produce a force on a tooth in a specific, controlled amount in the direction to move a tooth. Nowadays orthodontics offer more kinds of braces than ever before. Traditional Braces/Metal Braces: This type of braces are the least expensive, but are the most noticeable types. Ceramic Braces: This types of braces are the same size and shape as metal braces, but they have tooth-colored or clear brackets that blend into teeth. It is more expensive than metal braces and also can stain easily if don't care for them well. Lingual Braces: These type of braces are the same as traditional metal braces, but the brackets and wires are placed on the inside of teeth. These braces are invisible from outside, but are not appropriate for severe cases and are more difficult to clean. Invisalign: It consists of a series of custom-made, mouth guard-like clear plastic aligners. These aligners are removable and are replaced every 2 weeks. These type of braces are almost invisible but will not work for serious dental problems and also the treatment may potentially take longer. All smiles dental clinic is one of the famous cosmetic design clinics that offers Dental Smile Makeover in Bangalore.It is the best place for Dental Bridge Treatment in India.They also provide Dental Braces for patients with a skilled faculty and state of the art infrastructure. Smile Makeover : Get A Stunning Smile.. Smile makeover is performed for different reasons and can be customized according to the individual concern. A cosmetic dentist will plan some aesthetic components according to the client preferences. They are tooth proportions, the length of the tooth, tooth texture and characterization, smile line etc. A dentist can develop a treatment plan according to the person’s needs and concerns to achieve exactly the desired results. The treatment plan may include certain cosmetic and functionally restorative procedures such as dental crowns, teeth whitening, braces, gummy smile reduction, and oral maxillofacial surgery. Smile makeover procedures needs regular oral hygiene and maintenance. Smile makeover can also solve many dental problems. Good looking teeth and beautiful smile increases a person's confidence level. 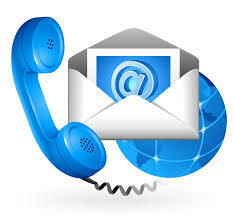 All Smile dental care, provides world class facilities for smile makeover in Bangalore. Dr. Trivikram rao is one of the best cosmetic dentist in Bangalore for various dental treatments. 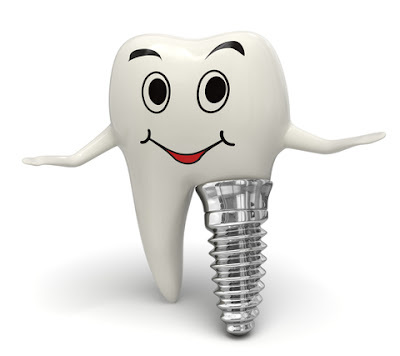 A dental implant is an artificial tooth root that is placed into jaw to hold a bridge or replacement tooth. Dental implants are an option for people who have lost tooth due to an injury, periodontal disease or some other reason. Success rates of dental implants usually vary depending on where the dental implants are being placed. Dental implants are very successful at the rate of up to 98%. Also, with proper care the implants can last a lifetime. The first step is the development of an individualized treatment plan. The plan will address the specific needs of the patient and will be chalked out by a team of professionals. This team approach will help provide an all-round care based on which implant option is best for you. Next will be the tooth root implant. In this, a small post made of titanium will be placed into the bone socket of the missing tooth. Once the jawbone heals, it will grows around the implanted metal post anchoring it securely in the jaw. Later, a small connector post called an abutment is attached to the metal post to hold the new tooth in place. To make the new tooth, the dentist takes impressions of your teeth and creates a model of your bite. The new tooth will be based on this model. A replacement tooth called a crown, is then attached to the abutment. The dentist will surely match the colour of the new teeth to your natural teeth because the replacement teeth’s (crown) look, feel and function just like your own natural teeth. Dr Trivikram(Dr Vikram), an expert cosmetic dentist in Bangalore offers dental implants and other dental treatments at affordable cost. 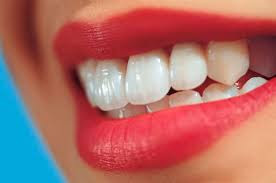 Dental Veneers also known as porcelain veneers are thin tooth colored materials used to cover the front part of the tooth to enhance appearance. This changes the shape, color, size or length of the tooth. Veneers made of porcelain resist stains better than other and resembles natural teeth. Who is the best candidate for a dental veneer ? At first, the doctor will examine the patient's teeth and ascertain whether teeth is good for dental veneers and understand its procedure, limitations, and advantages. X- ray will be taken as a part of that to know the condition deeply. When treatment starts the doctor will remove 1/2 millimeter of enamel from the tooth surface, a size equal to dental veneer. Then the measurement is dispatched to a laboratory for making veneer. It will take one to two week to make this. The fixing procedure of a veneer is called bonding. To fix this tooth will be examined, cleaned and purified. Then the dentist will paste a cement on the tooth surface, will place the veneer in the tooth and applies a special beam to glue it to the tooth surface. This will activate the chemicals in the cement and hardens it to the tooth surface. All Smiles Dental Clinic offers Best Porcelain Veneers in Bangalore with the help of dedicated team of doctors and other staff. Dr. Trivikram Rao is the leading and one of the Best Cosmetic Dentists in Bangalore who has more than 16+ years of experience in the cosmetic dentistry field.